Bounce Music Festival is coming to Raleigh, NC to the Longbranch Entertainment Complex on Oct. 26, 2012. 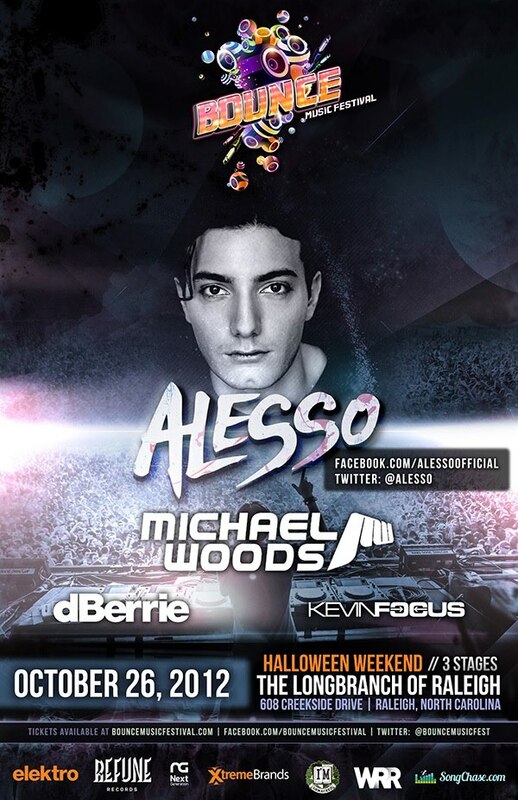 Performers include Alesso, Michael Woods and Dberrie. You can get tickets to the Bounce Music Festival in Raleigh, NC by using the link below, or just click on the poster. With a line-up like this, don’t wait too long!